The 4.8.0.59 version resolves several issues and implements many features/improvements since the 4.7.0.12 General Release. More detail on specific fixes/changes/improvements can be found in the Change Log, which can be viewed online within the Documentation Center portion of our site and in the Public Beta threads leading up to this release. 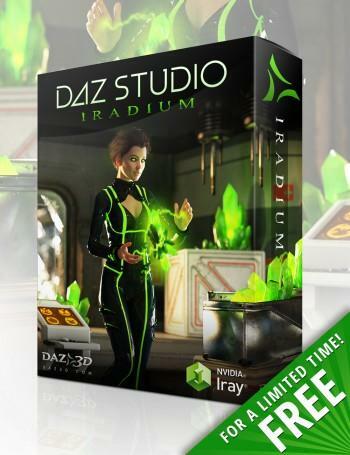 All new downloads of the DAZ Studio 4.x Pro product (SKU: 13176) will be of this version. *Note: NVIDIA Iray is 64-bit only; the 32-bit version does not include this feature. *Note: NVIDIA Iray is GPU-accelerated only when used with CUDA enabled NVIDIA video cards; it will fall back to the CPU if no CUDA enabled NVIDIA cards are present. If you are still using the Valentina based service, yes it has. The Valentina based service is still supported, but it has been deprecated and is no longer included with the application; it can be obtained through Customer Support on a case by case basis - i.e. firewall/anti-virus software conflicts with PostgreSQL. The PostgreSQL based service has proven itself to be much more stable and much less prone to the data corruption issues that many have experienced in the past. The PostgreSQL based service has also proven to be somewhat faster. Yes, the "Genesis Starter Essentials", "Genesis 2 Starter Essentials" and "Default Lights and Shaders" packages provided with the product have each been updated recently (or will be shortly). 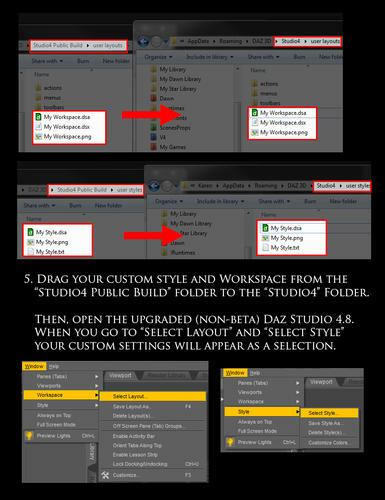 If you have previously added the DAZ Studio 4.x Pro product to your account, launch Install Manager, log into your account and type "DAZ Studio 4.8" into the filter field to filter out anything else. Then simply download and install as you would normally. 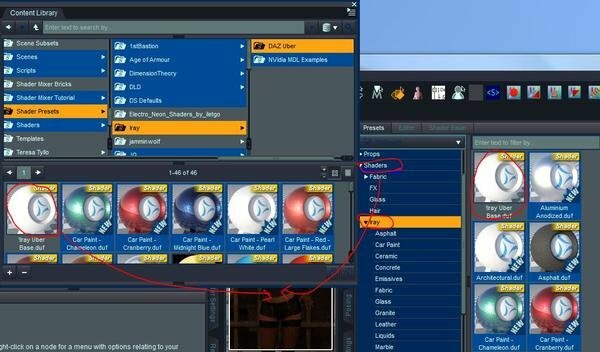 Optionally, you can locate, download and install DAZ Studio Pro from the Product Library [once you are logged into your account] by entering "DAZ Studio 4.8 Pro" into the text field near the top left of the page and clicking the "Filter" button, or by clicking here. Then, simply click the green "download & install" button to launch Install Manager with an appropriate filter or click the blue "download" button to download the standalone installer. The Reference Guide is also in the process of being populated/updated; updates will be posted over the course of the coming days/weeks/months. Here is a list of some known issues that we are currently working on resolving. We will give you some tips on how to avoid them when possible. CPU Overclocking - If your CPU is overclocked it could result in instability that makes the renderer crash. If you encounter frequent crashes during render try removing your CPU from the list in Render Settings > NVIDIA Iray > Advanced > Devices, this will render using only your GPU. If the render works without the CPU in use, try "un-overclocking" your CPU and adding it back in to the render pool. GPU memory overrun - We have noticed some issues with certain systems where the application crashes during rendering when the GPU memory is overrun. If you run into this issue, you can either remove the GPU from the list in Render Settings > NVIDIA Iray > Advanced > Devices, upgrade to a GPU with more memory or render smaller files. Canvas Render (fixed) - When using canvases, the Firefly Filter can cause issues by being too aggressive. If your rendered image is missing a lot of texture detail it could be caused by the nominal luminance setting. You can modify the nominal luminance to reduce the aggressiveness of the filter or turn the firefly filter off completely. Again this only happens when using canvas renders. Caustic Sampler - Some instability has been noticed when turning on/off the Caustic Sampler while a viewport is actively rendering (NVIDIA Iray Drawstyle). 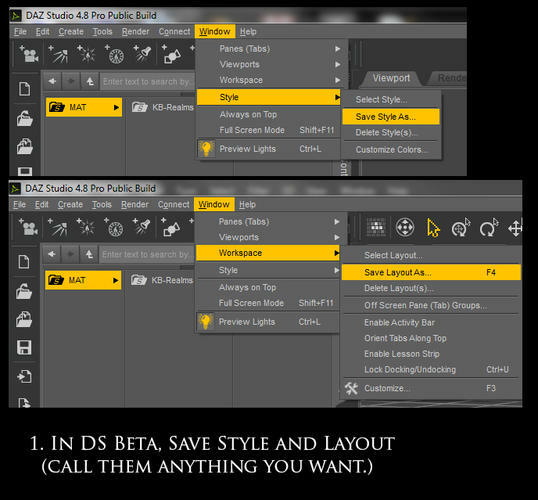 If you notice this issue, change your viewports to a different drawstyle before toggling on/off the caustic sampler. Depending on system and GPU memory it may be preferable to only use the caustic sampler while doing a render (not with the drawstyle). Is there an easy way to transfer your settings (layout, style and style colors, etc.) from the public build to the official release? I spent a lot of time with the beta and I'd like to keep my settings, but I don't want to mess up anything in the official release. ...if you have customised your setup in the beta, will the changes be preserved in the general .0.55 release or will it default to whatever the 4.7 setup was (as it will uninstall and replace the previous general release)? KK - it does the latter, just replaces 4.7. And I figured out the answer to my own question. In the beta, save your workspace and style. 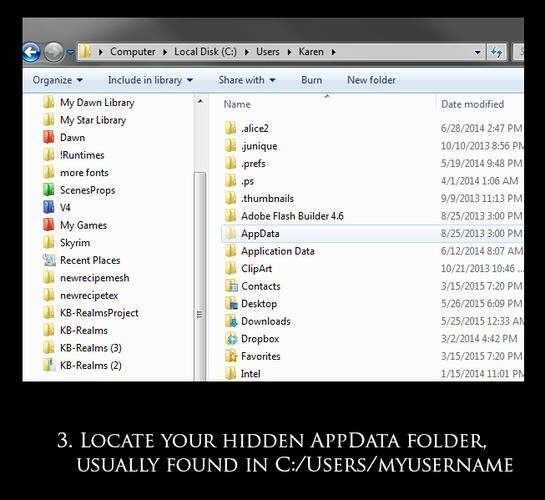 You can then (in windows, probably a different place on a mac) go into your "computeruser\AppData\Roaming\DAZ 3D\Studio4 Public Build\user layouts" and "computeruser\AppData\Roaming\DAZ 3D\Studio4 Public Build\user styles" (App data is a hidden folder, so make sure you're displaying them.) 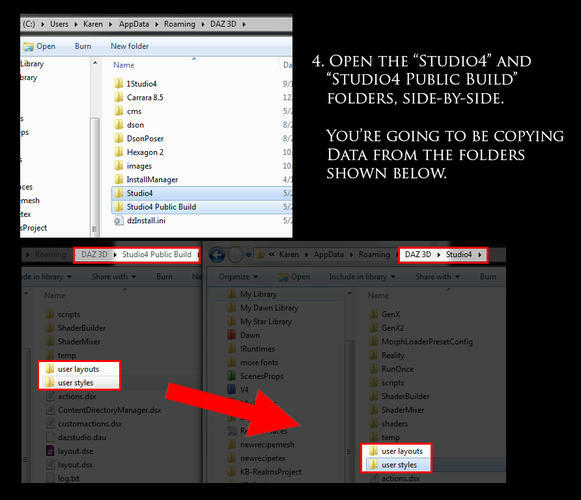 Copy the custom files, and then just back up a directory to the Studio4 folder and add them to their respective folders. When you start the official 4.8 (non-beta version), you can just select the new layout and style. How does one set up transparencies or alpha's to work? I've been holding off until now because I don't like beta's for how my work flow is... (and time) so I'm behind in understanding how to get areas like eyelashes and hair to look right. As noted in the other thread, put your mask image in Cutout Opacity. I haven't been following all of the beta threads, so all this is completely new to me. Is there a link way back to the beginning of all the "how do I set up Iray lighting" questions? I'm experimenting with lighting Stonemason's The Arc, and I'm stumbling on a few things. * I can't stop the scene filling with light from the open end. I thought I'd completely turned off the environment dome so I can play around with emissive settings on the glowy bits of the scene. The light flooding in is totally overwhelming any settings I use. * Do I only need to apply the Emissive shader with "ignore maps" set? Or is there something else I need to do? E.g. when I set up the LED surfaces, the "coloured" settings all changed to white. Shouldn't the colour setting have been preserved? * I remember coming across mentions of having to turn the Luminance value way, way, way up. What sort of range should I put it in for e.g. a small LED or a light big enough to illuminate several square feet of floor? I'm not sure any of my light settings are actually bright enough to glow visibly when I try a render. I'll have a look-see when I get home. 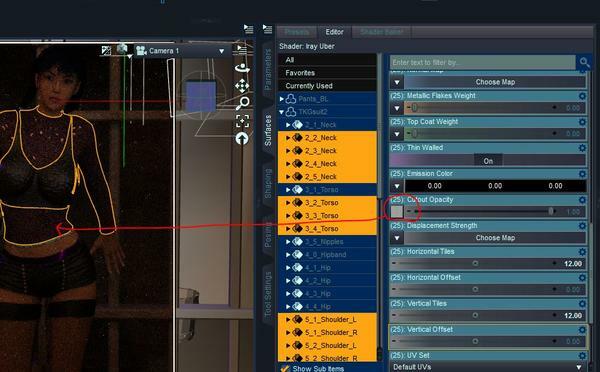 I'm guessing thats part of the Surfaces Advanced tab now or is it iRay and if it's iRay what if you have more than one mask like eyelashes and hair too? ...that sounds like potential trouble for me as I'm not very good messing with moving things around on the windows side of things. Is the layout for the default UI setting from the beta ("City Limits Lite") one of the options available? That is where I started from and I pretty much remember the changes I made (using a dual display setup)..
...OK opened the DIM and I see two installers for 4.8 under Product Updates, one for what I guess is the General Release (.0.55), and another which is a public Build Beta+. Both have the same Package Date (05/16/15) but the "Beta" has a more recent time stamp than the General release. A bit confused here. Also do not see the updated Iray content yet. Somewhere it was announced that the updated content probably won't be up until tomorrow. I got 4.80.55 last week when i updated 4.8 that what i made my animation with.. it worked great . best daz software yet. ..yeah just saw that on the Beta thread. Still not sure why I am seeing two 4.8 installers. This is on a Windows 7 x64 machine, and every other Windows OS has something vaguely similar. No idea what to do on a Mac! "The Render Settings pane also now provides access to Light Path [removed]LPE), when NVIDIA Iray is set as the active engine." Is this the "Canvases" sub tab in the Render Settings -> Advanced tab? If so, are there any instructions available on how to use it? Thanks in advance. During installation, none of the installer components asks for the default location for CONTENT, instead it/they automatically put all new CONTENT in my %%\\User folders. This cannot happen, as I use separate HD's for *ALL* content no matter what program it is for. So I apparently have missing content (like ALL of it!) and non functioning CMS as I immediately remove ALL references to CONTENT from the User folder system. 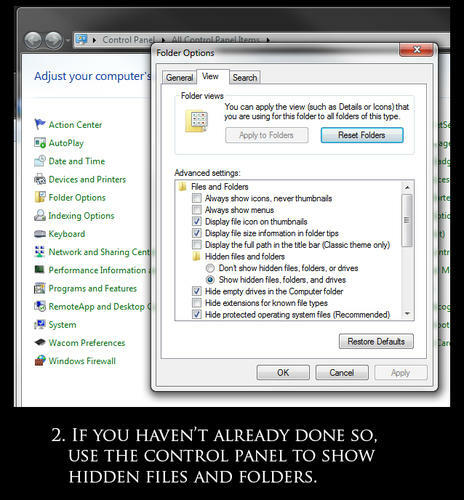 I will not abide use of the User folder system for any content for any software. How do I make D:\3D Work DS CONTENT the default base location for ALL DS content? A second issue: I do not want Studio to use any "Smart Content" system. I want Studio to use the old scheme where everything is sorted according to the Poser content type hierarchy. Where it is easy for a User (owner) to sort and manage. to use Iray cut out opacity, use iray uber shader,, then apply map,, I did so. Thanks. I'll have a look! I appreciate you taking the time. YAY.. that worked. Thank you so much! What's this 'free for a limited time' business all about? ...said that since a later update of ver. 4.0.was released. the initial release of 4.0 Pro was priced at 495$ or something like that..
Basically...yes, but not enough to matter and probably not the proper drivers to take advantage of the ones it does have. That card, in computer terms is an antique and unfortunately, isn't going to be of any help when it comes to Iray. How do I make D:\3D Work DS CONTENT the default base location for ALL DS content?Configure your DAZ Install Manager to point to that for the content directory; that should get you what you need. A second issue: I do not want Studio to use any "Smart Content" system. I want Studio to use the old scheme where everything is sorted according to the Poser content type hierarchy. Most of the DAZ-specific content does not install in the Poser hierarchy. That said, you don't have to use Smart Content. Just use the Content Library tab, and delete the Smart Content tab. The Poser Formats directories will have the standard 'poser' layout, and the DAZ Studio Formats will have the view that gives access to People/Genesis and People/Genesis 2 [Male/Female] as well as the Shader Presets, and other similar directories that you'd need access to. Most of the DAZ Studio specific stuff will not show up in the Poser Format tree; it's just something to get used to.